How fitting is it that the guardian of love (and enemy of kitchens everywhere) gave me nothing but trouble this week? Because I’m in Birmingham to visit my family for the upcoming holiday, I had to push back Sailor V’s meal to the very end of the work week, knocking out my usual sandwich + apple + popcorn lunch. Ah, well. Minako is worth it :)! Since Minako has a love for compact comfort foods that pack flavorful punches, I decided to make homemade ramen for the original champion of justice and co-leader of the sailor scouts. This dish should give the idol-in-training just the right amount of energy to do her thing. Enjoy! Combine all of the ingredients in a lidded, glass casserole oven. Make sure to coat the chicken well! Bake for 30-35 minutes or juices run clear when fork is inserted into chicken. Combine dry ingredients in a medium-sized bowl. Make a well in the center of the ingredients and beat in the egg and water until combined. Flour a clean surface and knead dough until ingredients are well incorporated. Additional water or flour may be needed. Add 1/2 tsp at a time until consistency is right. The dough should feel moist but dry enough to separate from your hand (if the dough can roll from your hand in 1-2 seconds then it’s just right). Fold a damp towel around the dough and let it sit for at least 30 minutes or up to 2 hours during the winter. Flour a clean surface. 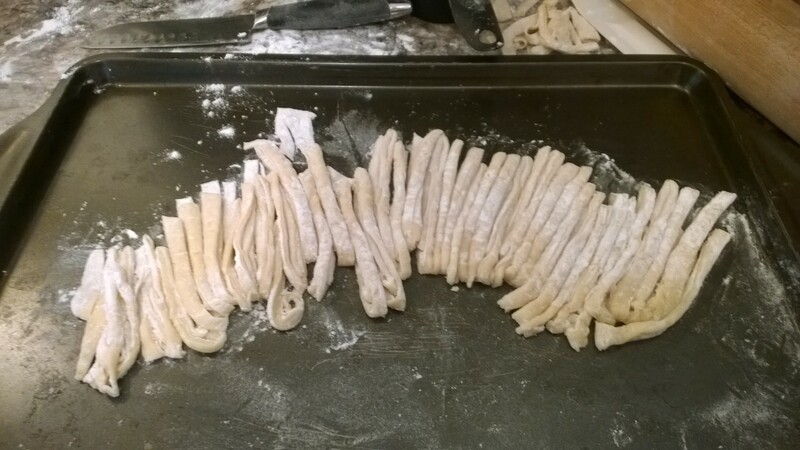 Using a rolling pin, roll dough onto surface until it is about 1 mm thick. Dust with flour. Fold the dough vertically. Flour. Fold the dough vertically again (in the same direction). 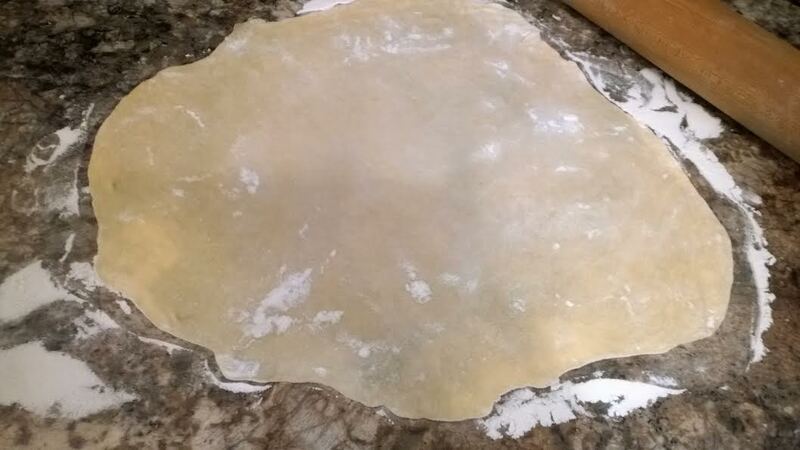 Cut dough into thin strips using a wide, square knife (I used a santoku knife). Bring water to boil and sprinkle with additional salt and soy sauce if desired. Drop noodles into water and cook for 4-6 minutes or until done (trust your stovetop!). The noodles should rise to the top. Sautee peppers in olive oil and over medium-high heat for 5-7 minutes or until softened. Plate noodles and pile on the rest of the ingredients. Drizzle with soy sauce if desired.